New Zealand batsman Corey Anderson, centre, is congratulated by Afghanistan’s Afsar Zazai and Nawroz Mangal, right, following their six wicket win in their Cricket World Cup Pool A match in Napier, New Zealand. New Zealand batsman Corey Anderson, left, shakes hands with Afghanistan’s Asghar Stanikzai following their six wicket win in their Cricket World Cup Pool A match in Napier, New Zealand. 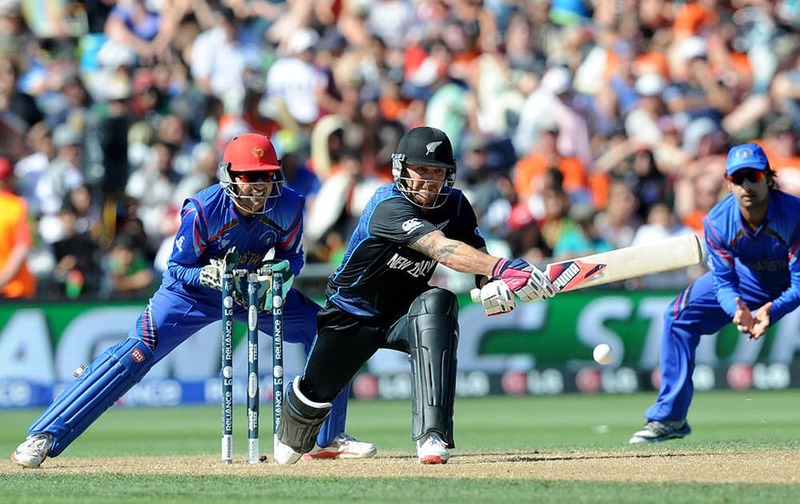 New Zealand batsman Brendon McCullum plays a reverse sweep shot as Afghanistan wicketkeeper Afsar Zazai, left, watches during their Cricket World Cup Pool A match in Napier, New Zealand. Afghanistan bowler Shapoor Zadran, centre, is congratulated by teammates after dismissing New Zealand’s Kane Williamson during their Cricket World Cup Pool A match in Napier, New Zealand. 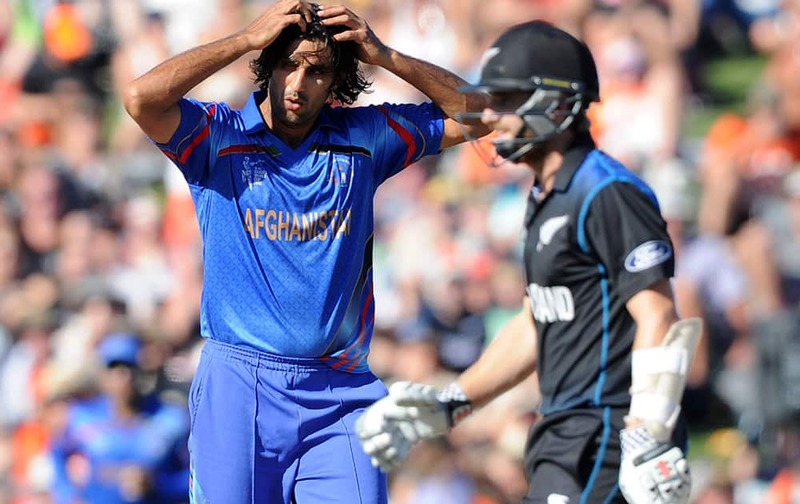 Afghanistan bowler Shapoor Zadran, left, reacts after dismissing New Zealand’s Kane Williamson, right, during their Cricket World Cup Pool A match in Napier, New Zealand. Afghanistan’s Samiullah Shenwari dives to take the ball as New Zealand batsman Martin Guptill moves out of the way during their Cricket World Cup Pool A match in Napier, New Zealand. 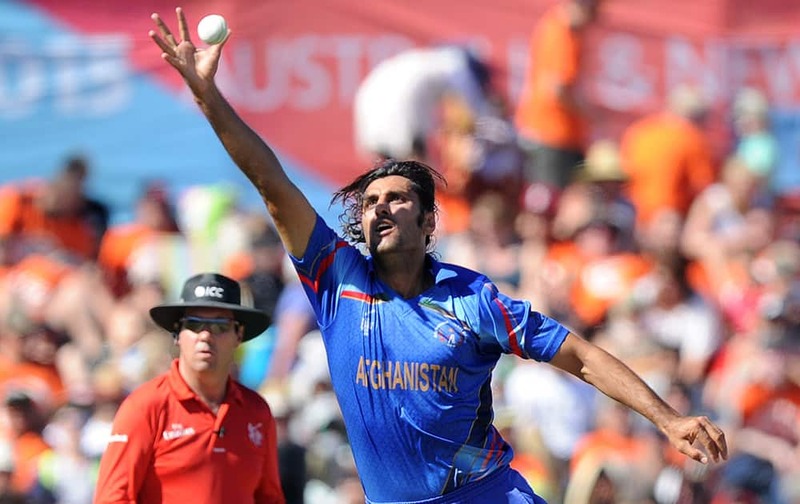 Afghanistan’s Shapoor Zadran reaches out to stop the ball during their Cricket World Cup Pool A match against New Zealand in Napier, New Zealand. Afghanistan bowler Hamid Hassan appeals for a wicket while bowling against New Zealand during their Cricket World Cup Pool A match in Napier, New Zealand. Afghanistan’s Najib Zadran watches as he plays a shot while batting against New Zealand during their Cricket World Cup Pool A match in Napier, New Zealand. 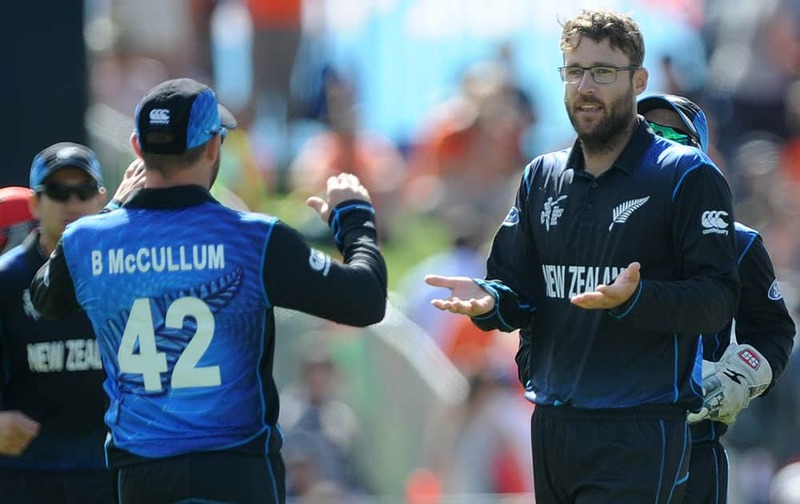 New Zealand bowler Dan Vettori, right, is congratulated by his captain Brendon McCullum after he bowled Afghanistan batsman Usman Ghani for no score during their Cricket World Cup Pool A match in Napier, New Zealand. 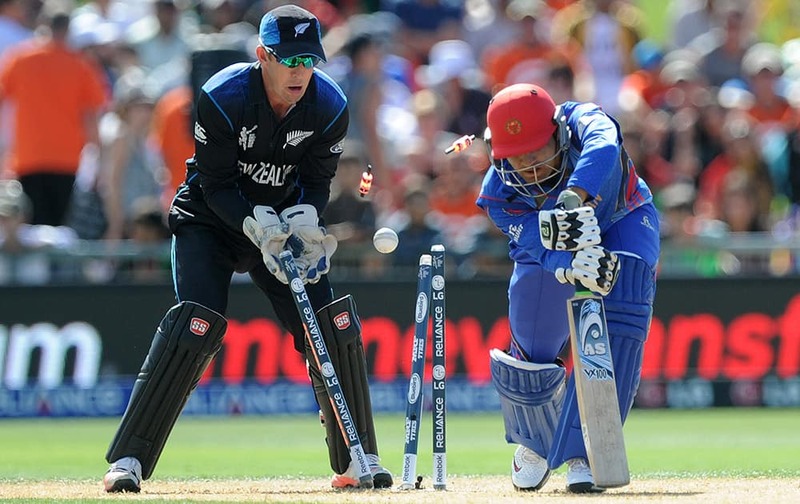 Afghanistan batsman Usman Ghani is bowled for no score as New Zealand wicketkeeper Luke Ronchi watches during their Cricket World Cup Pool A match in Napier, New Zealand.